There comes a time in a twenty-something vegan’s life that she realizes it’s time to make juice out of blueberries for the first time. I don’t know why I’ve waited this long. While I’ve been drinking yummy juice for years, it wasn’t until a recent trip to New York City’s Blossom on Carmine with Erin Red and Ivory that I tried Bilberry juice–another delicious choice–which reminded me that little adorbs berries can indeed be crushed and strained and turned into liquid antioxidant heaven. I’d love to make bilberry juice at some point, but my local co-op here in West Philly currently doesn’t stock them so blueberry juice was the order of the day. 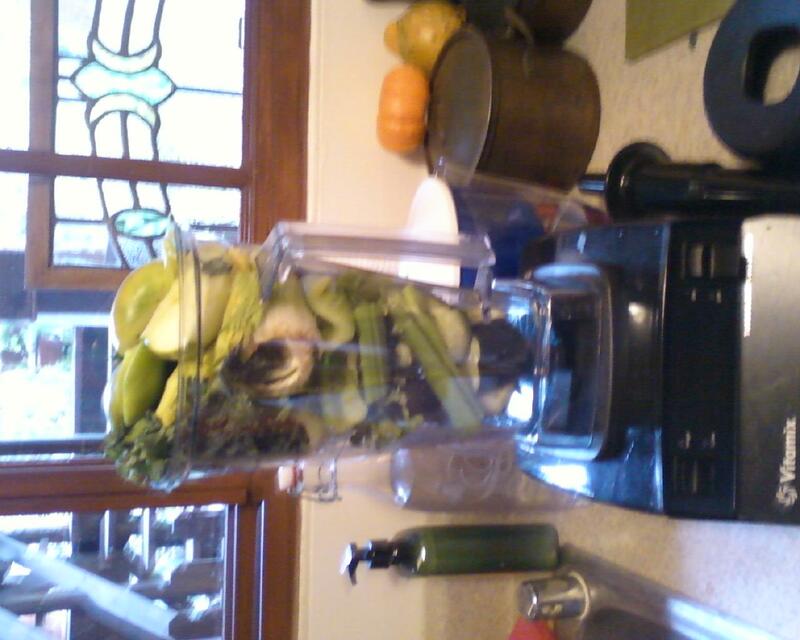 I mixed in some kiwi, a big head of kale, a bit of apple and some ginger and a squeeze of lemon for good measure. This Blueberry Ginger Kiwi Kale Juice will rock your day, I promise. 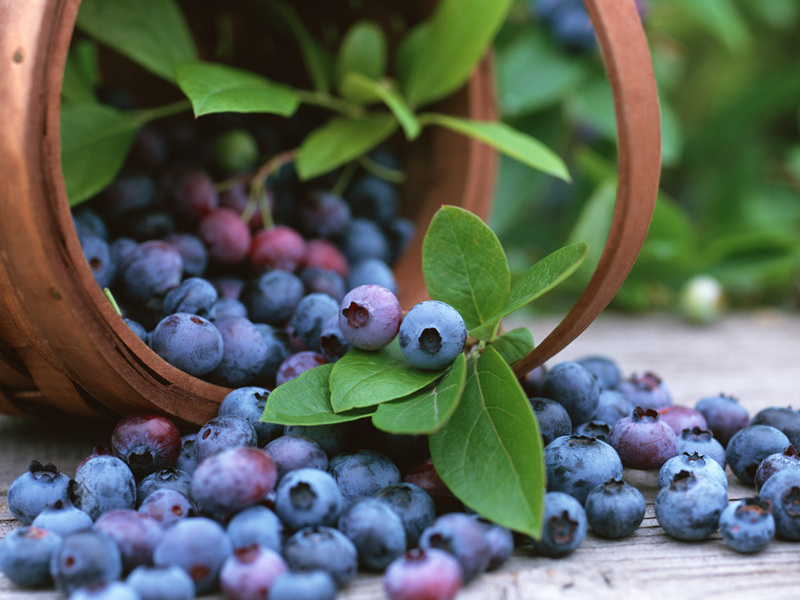 Bilberry is a great option to juice instead of or in addition to blueberries if you can get a hold of some. Juice all ingredients using a juicer or my juice in a blender method. Enjoy! This morning I made a really yummy new juice combo I couldn’t help but share here! My method was simple: toss the veggies and fruit in my Vitamix and strain using a nut mylk bag. I’ve definitely been known to overload the Vitamix, but actually just a few whirls on low was all it took to get everything moving! 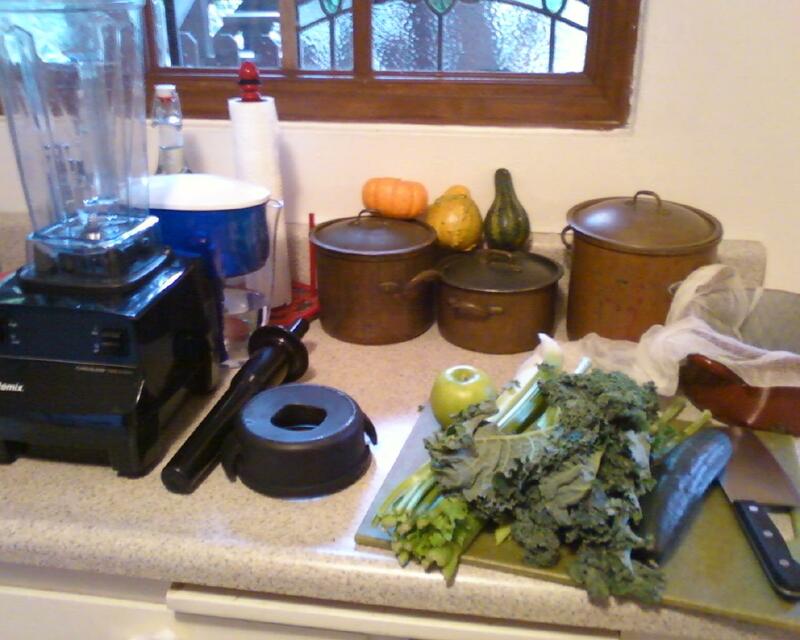 Make green juice in a blender using my method or using a juicer. Enjoy! Tomorrow I’ve got some super exciting news to announce . . .stay tuned and see you here tomorrow! Drink this juice, feel amazing. Green juice flavor balancing is somewhat of an art. Folks like Gena, Kris and Courtney juice expertly, and I have to say I often combine juice ingredients pretty well myself. Too much spice or tang overpowers the juice, while too much sweet and the libation tastes weird. My friend Ivory puts jalapeño in juices! There really is a spectrum in terms of what our unique palates can handle! 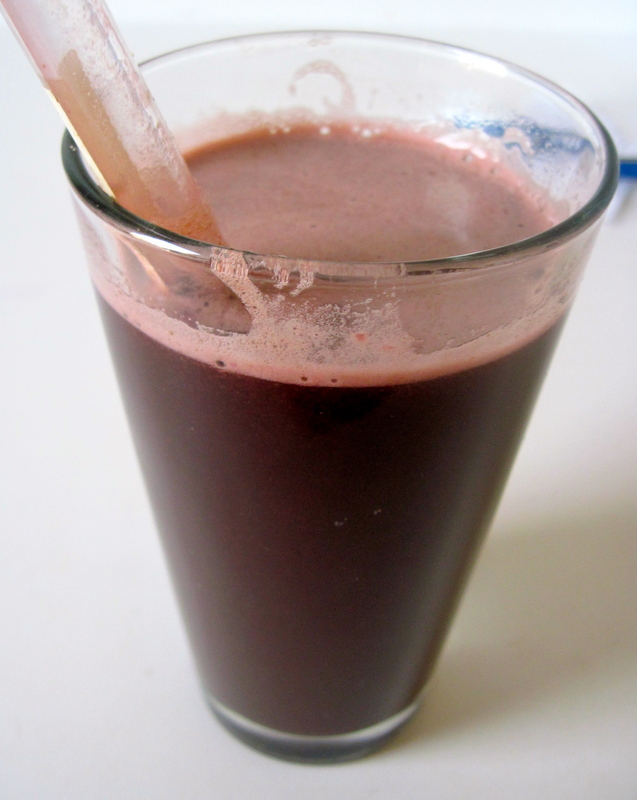 Today, I made this juice incorporating beets, fennel, chard and kale, and with a little experimentation realized that for the whole juice to come together it needed a bit more sweet for me to get it down. 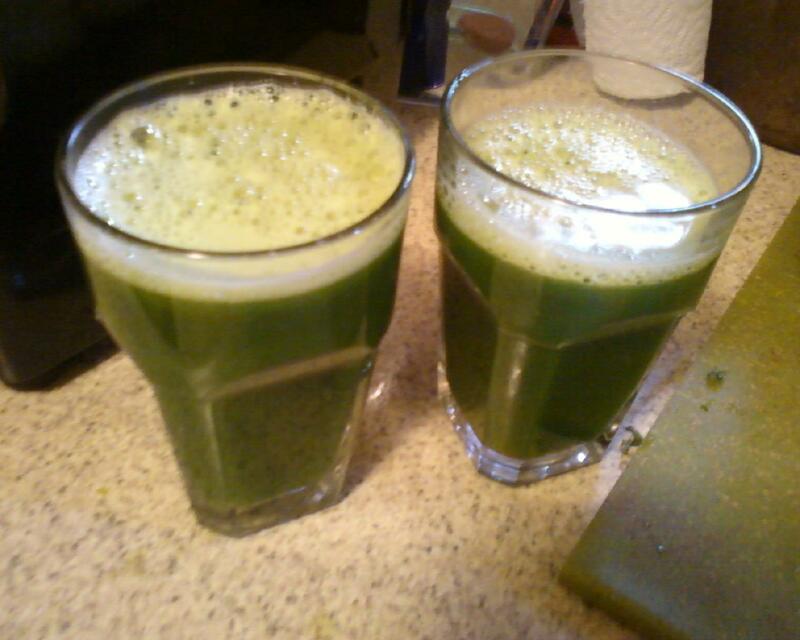 After all, the best green juice is the one you actually like to drink. I added a bit of cucumber, apple and lemon juice and it really changed things! Here’s the recipe I used. 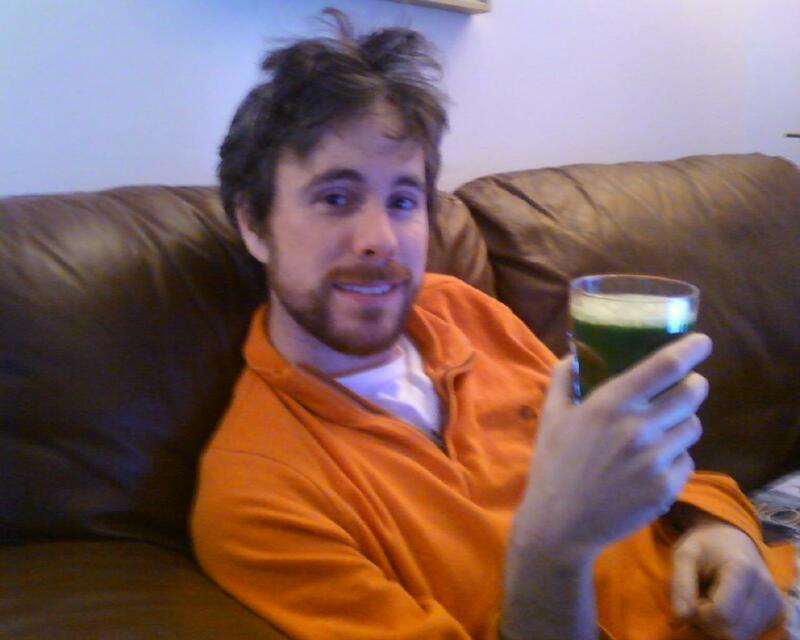 I’d love to hear what you like to put in your green juice! 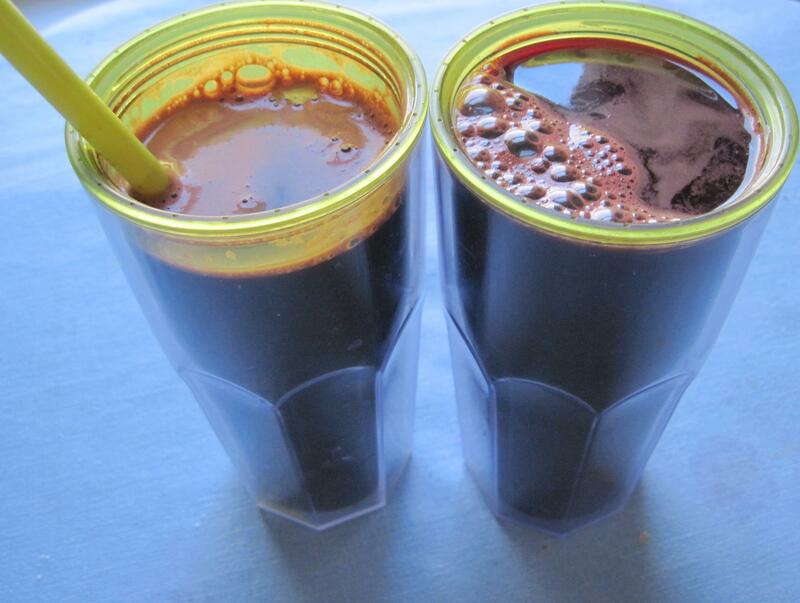 Juice them in a juicer, or try my “juice in a blender” method. 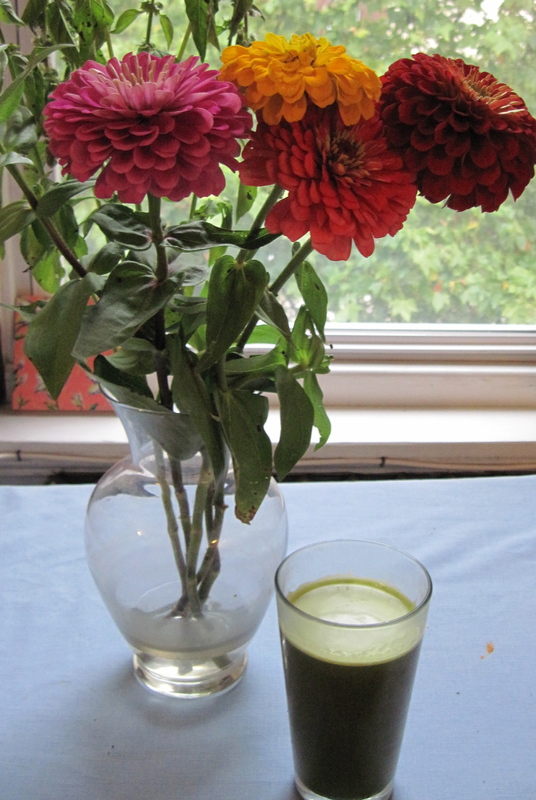 Green juice and locally-grown flowers in my kitchen. 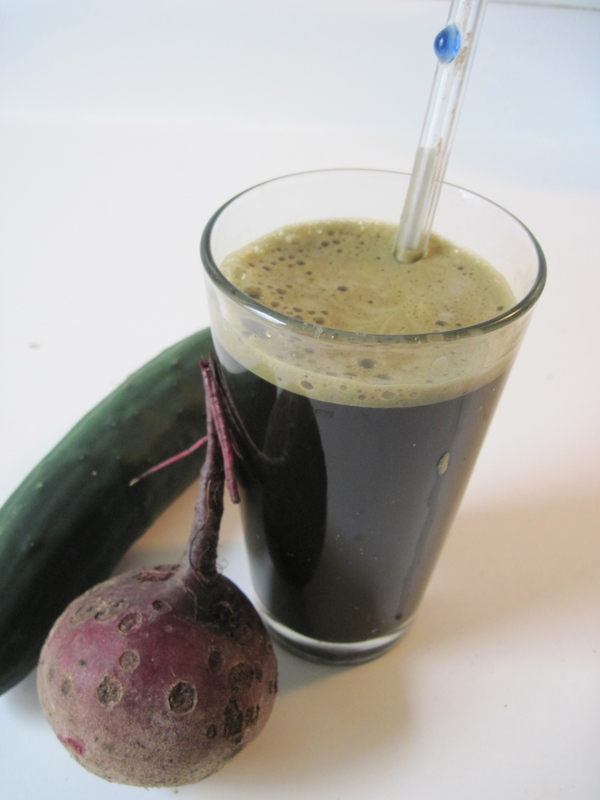 Juice, drink deeply and enjoy! If you’ve got a juicer, a juice bar, or a raw restaurant nearby, you’ve probably figured out how to get your hands on nutrient-dense liquid nutrition. 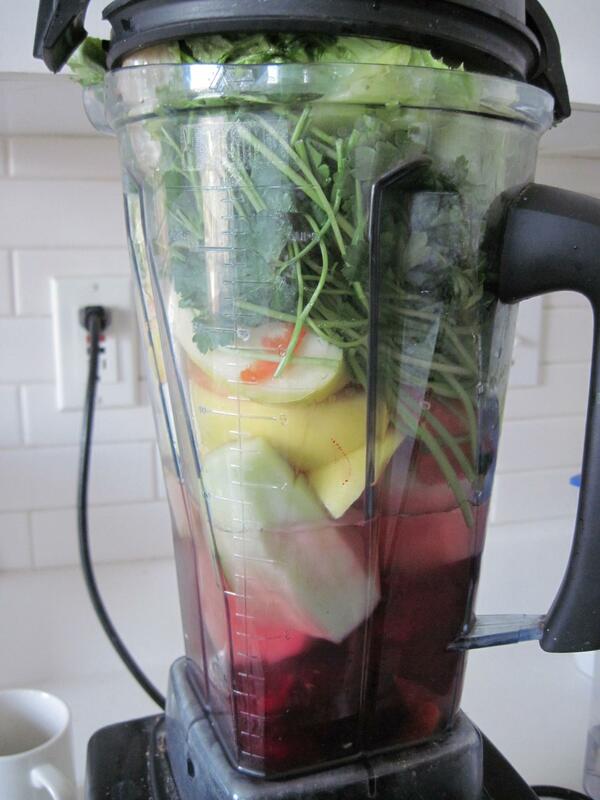 But did you know that you can also make juice in your blender? With the help of a nut mylk bag (available at health food stores and online) or even cheese cloth if you’re in a pinch, you can use your plain old blender to make delicious juice. To be fair, I tend to make blended juice in a Vitamix and it’s been awhile since I’ve used a less advanced blender to get the job done, but I have done it, and yes, it does work. This weekend, while visiting my brother Asher in Los Angeles, he took a few breaks from working on exciting projects at his film studio Pollution Studios to drink juice and hang with me. Here is the technique and recipe we used to make juice together! 1. Chop all veggies, fruit, greens. 3. Pour smoothie mix into a bowl with a nut mylk bag or cheesecloth. 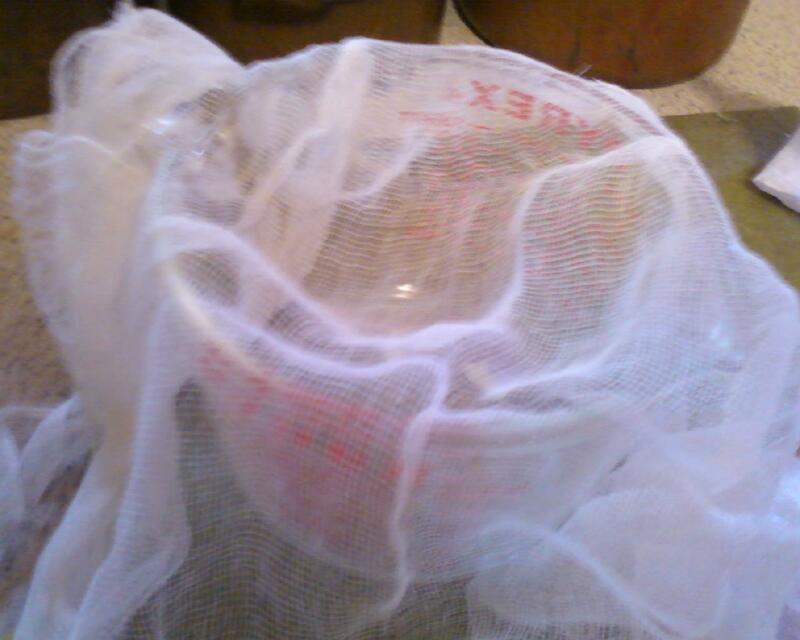 Pictured is a cheesecloth straining system. 4. Remove pulp-filled nut mylk bag or cheese cloth (freeze or immediately use in other recipes, if you’d like!) and pour strained juice into vessels of your choice.